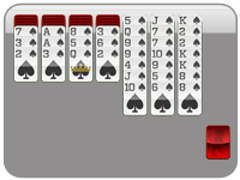 Many people consider Freecell Solitaire to be the most balanced solitaire card games of all time. 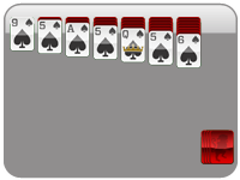 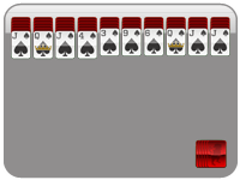 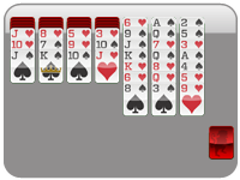 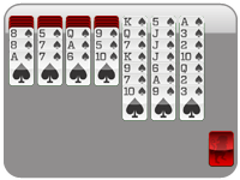 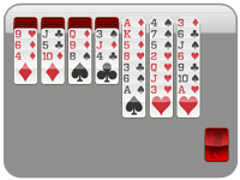 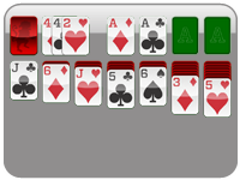 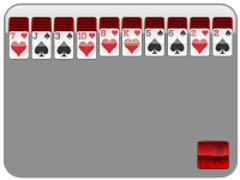 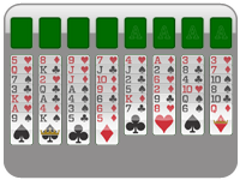 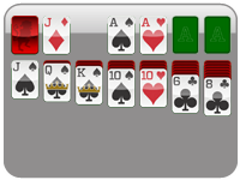 Unlike many versions of solitaire, nearly 100% of all freecell games can be won. And many players prefer to win a game entirely by their own wits, rather than relying on chance. 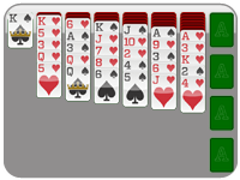 But, unlike most solitaire puzzle games, in Freecell you cannot always move an entire stack of cards in one move. Instead, you can only move 1 card for every "free space" you have available--plus one additional card. In other words, if you have 2 "empty spaces" in the tableau (spaces that once held a card and now do not) and 1 open "free cell" (top left corner), you my move up to 4 cards.